LOS ANGELES, Nov. 6, 2017 /PRNewswire/ -- The Avanza Network ("Avanza") organization gathered Nov. 2-5, 2017, in Los Angeles for its annual conference, bringing together MIT Latino alumni and friends from throughout the U.S. to discuss important issues affecting economically depressed communities. As in past conferences, Avanza visited with thousands of students and their parents at over 20 different high schools throughout southern California and one community college in underserved areas, emphasizing the critical importance of a higher education. Since its formation in 2011, the group has reached out to and inspired thousands of high school students in cities across the country. "Many of our Avanza members grew up in underprivileged communities and overcame incredible challenges in their life journey, accomplishing amazing feats," stated Frances Pinedo, president of Avanza. "Having us tell our stories to kids growing up in similar neighborhoods provides an invaluable example of self-empowerment through hard work and continued education, inspiring them to aim high. Today, more than ever, we need to emphasize to our youth the importance of an education to level the playing field." "Studying at MIT is a transformational experience. Avanza volunteers want today's generation of students to know that they too can achieve their dream of a higher education," said California Secretary of State Alex Padilla. "Our message during the high school visits is clear: regardless of your socio-economic status or your parents' occupation, with dedication and hard work, a college education is absolutely possible. Avanza volunteers graduated from college thanks to those who came before us and opened the door. It's now on us to keep that door open." In addition to meeting with students and parents, Avanza members also met with local educators and the press to partner in the group's goal of increasing college attendance and college graduation rates within the Latino and underserved populations, as well as to create awareness of the many sources of financial assistance that are available. Eddie Grado, a co-founder of Avanza and head of the conference committee, also added, "The challenges these young students face daily have helped them become resourceful, creative and grittier - the same skillsets needed to be successful in advanced fields of studies. If we want this new generation to go on and help solve the complex problems humanity faces today, it's critically important we are out there encouraging them and showing them 'Si Se Puede.'" 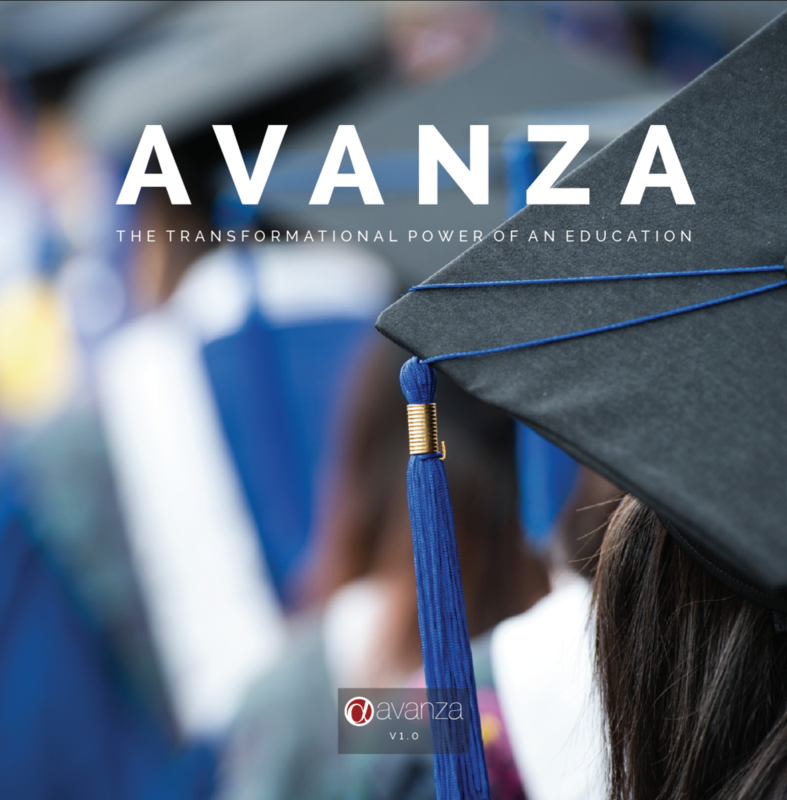 The group used the opportunity to distribute volume 1 of the Avanza book, "The Transformational Power of an Education," to schools as part of its annual conference. The book is a compilation of inspiring life stories of several Avanza members and their diverse paths towards a higher education and successful career. The book is available online at bookstore.weeva.com/products/Avanza. Avanza is a national nonprofit organization founded by M.I.T. (Massachusetts Institute of Technology) Mexican-American alumni and friends who are dedicated to the empowerment and advancement of current and aspiring Latino professionals and members of underserved communities. Through its grass-roots efforts, Avanza stimulates Latino and underserved communities to achieve full potential by increasing awareness of the transformational power of a college education, increasing college graduation rates for these groups and emphasizing the benefits of diverse career paths. For more information on its grass-root outreach efforts, the college application process or other tools for college-bound students, please visit www.avanzanetwork.org or follow MIT Avanza on Facebook and LinkedIn. Avanza Network is a national nonprofit organization founded by MIT Mexican-American alumni and friends who are dedicated to the empowerment and advancement of current and aspiring Latino professionals and members of underserved communities. Through its grass-roots efforts, Avanza stimulates Latino and underserved communities to achieve full potential by raising awareness of the transformational power of a college education, increasing college graduation rates for these groups, emphasizing the benefits of diverse career paths, highlighting the key benefits of STEM careers and cultivating the group's pipeline of talent through the professional development lifecycle.